Introducing the latest celebrity secret to flawless looking skin. Want to have your skin look amazing and get expert advice?? 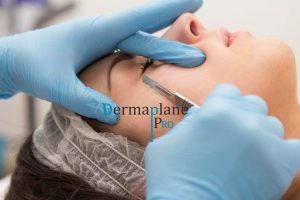 Claire trained with Dermaplane Pro – a worldwide recognised Dermaplane training academy and has carried out over 100 treatments. Claire has 20 years of skin knowledge so you can be rest assured that the advice and expertise you will receive is the best. Claire will cater your Dermaplane treatment to suit your own skin needs as no two skins are the same. She will advise on either Enzyme, Peel, LED or all three if you want amazing results. She will also advise you on the correct homecare to maintain your results at home. Select the book now option on our page to book yours.